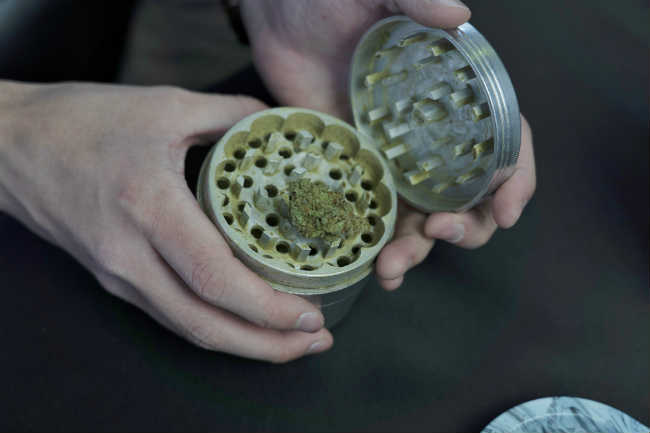 If you’re a cannabis enthusiast, then you definitely have a grinder. And a grinder, like any tool used over time, needs maintenance and care in order to prolong its life, give peak performance, and for you to get the most for your money. It isn’t necessary to have a grinder cleaning schedule per se, but to keep your grinder in top shape, consider cleaning it every few months as a matter of maintenance. However, if you are an infrequent smoker, or notice that your grinder isn’t operating smoothly, it may be time to give it a good cleaning. Here’s why. This is especially true for people who smoke infrequently. Over time, if there’s even a hint of moisture in your stash and you store it in a dark, warm place and forget about it, you are bound to get mold. Smoking moldy cannabis is a bad idea, and not only because of a ruined flavor profile. Always check your grinder for mold before using! Especially if you are an infrequent consumer. Smoking moldy cannabis, especially if you have a pre-existing condition like asthma or allergies, can exacerbate your symptoms. It can also expose you to bronchial and lung irritations, plus additional illnesses. If you find mold in your grinder – or anywhere on your bud for that matter – it’s best to throw it out and clean your grinder. There are a few ways to clean your grinder after discovering mold, but you’ll definitely want to go with the most sterile method that won’t ruin your grinder. With metal grinders, the first step is to remove your resin. The simplest way to do this is to take the grinder apart, put the parts in a freezer-safe bag, and freeze them for about an hour or more. Then, tap the grinder parts over a paper towel to collect the moldy resin. You can then use a small brush to remove any leftover bits and pieces. Next, place the pieces in a pot of water and bring to a boil, and let the pieces boil for about seven to 10 minutes. Let the water cool, then carefully remove the boiled pieces. Afterwards, soak them in isopropyl alcohol or hydrogen peroxide for a few minutes more. Rinse the pieces thoroughly, then dry. If you’re in a pinch, you can skip the first few steps and simply fill your grinder with isopropyl alcohol, shake vigorously, and repeat until all resin/mold has been removed. If your grinder is made of acrylic, freezing is the best way to go. Take the grinder apart, place the pieces in a freezer-safe bag, freeze, then make sure the moldy cannabis ends up in the trash. Next, use a toothbrush, cotton swab, or brush dipped in rubbing alcohol to remove any leftover pieces and give it a thorough sterilization. Rinse with warm water, and your grinder should be good as new. Over time, your grinder will get sticky with built up residue that will keep it from working properly. This will also wear down the grinder’s teeth and effect the flavor of your weed, since the fresh product will get stuck to the old. In this case, you’ll want to keep your kief for special occasions, but all the other cleaning rules apply. Disassemble your grinder and place the pieces in a freezer-safe bag, then leave in the freezer for an hour or more. If the pieces don’t come out easily, you may want it to put it back in the freezer for a little longer. Don't forget to collect and save your kief for later use! Next, tap the pieces out into a bowl, tray, or any other implement that can collect your kief. A small brush or Q-tip will suffice to get any remaining pieces. Depending on your grinder, you can then boil it, or use isopropyl alcohol or hydrogen peroxide to get your grinder squeaky clean and working its best. An alternative cleaning method is to disassemble the grinder and place the pieces in a bowl, then pour salt into the nooks and crannies, followed by an isopropyl alcohol soak. Then, use a toothbrush or other small brush to remove any leftover salt, rinse, and voila! Clean grinder. Bleach is known to kill every germ in sight. However, it is a very toxic substance that is extremely irritating to the eyes, skin and lungs. Bleach can exacerbate asthma and allergies and is potentially carcinogenic. You don’t want your weed anywhere near a surface that has been cleaned with bleach. To clean out the grinder’s smallest nooks and crannies, stick with a small paint brush, cotton swab, or even a guitar pick. Using an abrasive brush to clean your grinder can cause microparticles, microscopic pieces of steel, aluminum, or plastic smaller than a grain of pollen, to break off. These particles can be irritating to the throat and lungs and over time, could be detrimental to your health. Next time your grinder gets a little sticky, try using the steps above. They’ll definitely prolong your grinder’s life and improve the quality of your weed. Do you have any tips for cleaning your grinder? Share them in the comments below!